The Analysis of Minerals and Soils Lab Activity teaches students to utilize physical and chemical techniques to thoroughly investigate crime scene samples. 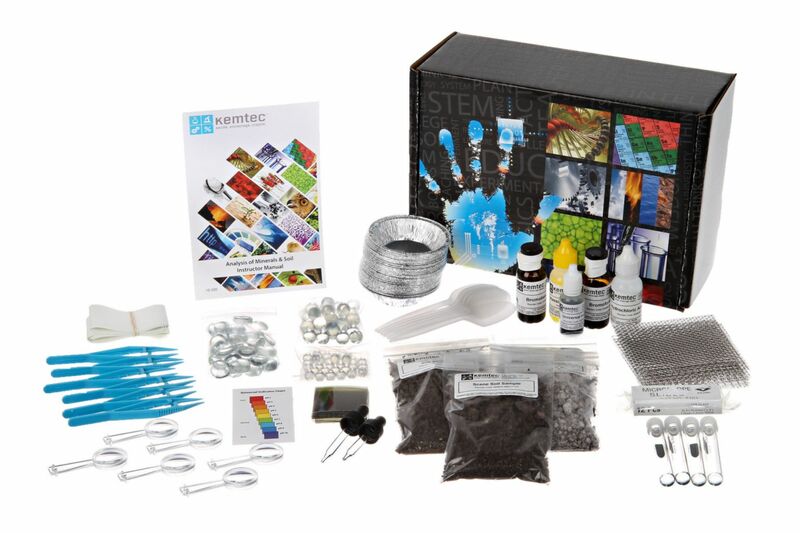 Soil, glass, dust, and specks of metal are just some of the trace evidence analyzed in this kit to link a suspect to the scene of the crime. Analyses include comparison of acidity, comparison of particle sizes using sieves, comparison of particle densities using density gradient tubes, and comparison of minerals present through the use of wet chemistry. A fume hood; a UV light; a balance; a microscope, oven, lamp, or hot plate; glassware; and general lab supplies are required but not included. Certifications: Meets national standards for grades nine through 12. Caution: Caution:This item contains lead nitrate.